A native of Vienna, Philipp Pointner has an ingrained affinity to the Viennese Masters (both classic and more modern), from Mozart through Johann Strauss to Schreker, Korngold and Mahler. His versatility extends beyond the Viennese repertoire, however, as is borne out by his successes with the works of Strauss’ Rosenkavalier in Vienna and with the Flemish Opera, Korngold’s Die Tote Stadt in Nürnberg, and Janacek’s Makropulos Affair and Cunning Little Vixen. In Nürnberg he also honed his skills in the Italian repertoire with works by Verdi and Puccini, amongst others. A particular passion is ballet, and he was invited to conduct the programme In Flanders Fields, including the world premiere of Sayo Kosugi‘s Heroes of the Heart with the Flemish Royal Ballet in May 2015. Also in 2015, he will make his début at the Hamburg State Opera where he conducts performances of Hänsel und Gretel. 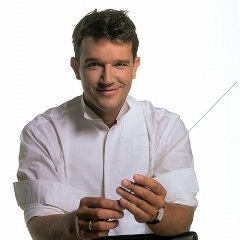 On the concert platform, he returns to conduct the Brandenburger Symphoniker in September and concerts with the Tonkünstler Orchester in Vienna in December, 2015. 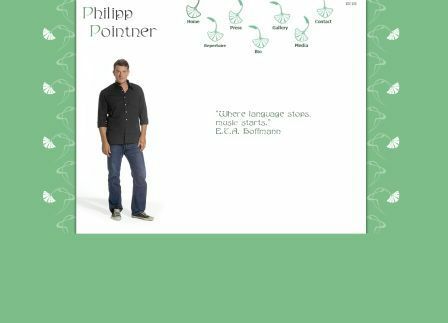 Philipp Pointner received his education at the Private Conservatory University Vienna and at the Vienna University of Music and Performing Arts he studied conducting, coaching and composition. After graduating with honours in 1994, he was engaged by the Cape Town Opera where, in addition to repertoire work, he led new productions of Fidelio, Le nozze di Figaro, Carmen and die Lustige Witwe. He has also appeared at the Civic Centre Johannesburg, at the renowned South African Grahamstown Festival and works regularly in Cape Town and Pretoria. In Europe he has worked at the opera houses of Cologne, Mannheim and Brunswick, Bern, Innsbruck, Graz, Antwerp, Gent and Bratislava. He held the position of 1st Kapellmeister at the Staatstheater Nürnberg until 2013. Prior to which he was the assistant to Sir Roger Norrington at the Salzburg Festival and Christian Thielemann at the Deutsche Oper Berlin. Since 2004 Philipp Pointner has been a regular guest conductor of the State Philharmonic of Cluj (Romania). In concert, he has worked with both the Nürnberger Philharmoniker and Symphoniker as well as with the Tonkünstler, St Pölten, WDR Radio Orchester, Philharmonic Orchestra Oviedo, Bavarian Chamber Philharmonic, State Philharmonic Orchestra of Timisoara (Romania), the Hof Symphony Orchestra and Brandenburg Symphony Orchestra. He is a particularly gifted ‘talkmaster’ and is much in demand for ‘Vienna Style’ New Year concerts.